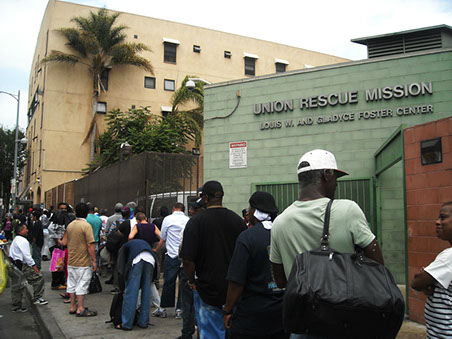 Making a financial gift to Union Rescue Mission is only one way you can support our work. We gratefully accept donations of food, toys, clothing, and other top quality products. Or you can donate your used vehicle – whether it’s operational or not. You can even sponsor a Food or Clothing Drive to gather items to give to URM. Encourage your friends, co-workers, or congregation to participate. Focus on collecting a few types of items such as new socks, new undergarments, diapers, or formula. If you have items you would like to donate, please Email us or call 213-673-4875. Thank you for caring about people experiencing homelessness here in Los Angeles. Your gifts will directly benefit the men, women, and children who need help most.